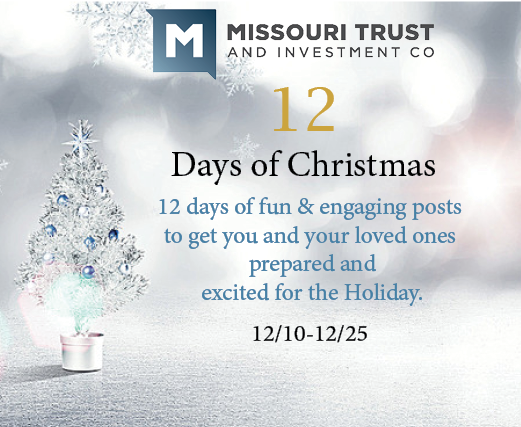 Missouri Trust & Investment Company invites YOU to be a part of our 12 Days of Christmas Social Media Campaign! Starting today and every day leading up to Christmas, we will post something uniquely related to the holidays. Posts will include gift card drawings, trivia questions and financial tips to help you prepare for Christmas & the New Year. Participation is fun and free! Be on the look out for these special posts to see how you can get involved!